How to convert MOD to iMovie on Mac? "I have a JVC Everio GZ-MG750 and it imports into my PC computer in .mod format. I want to upgrade my Mac so that I can edit the videos on iMovie. Would this work? I have to get the Leopard OS because I have the PowerPC chip, and I want to get iLife '09. Currently, I have the Tiger OS and iLife '05." Many camcorder users are at a loss how to edit their MOD files but it is very hard to find a MOD editing software. For Mac users, iMovie is a great video editing tool, but it does not support MOD files. Therefore, to successfully import MOD to iMovie, you will have to convert MOD files to iMovie supported formats with this Mac video converter developed by iFunia. Now run iFunia Video Converter for Mac on your Mac and click the Media Browser icon at the upper right corner to add MOD video files. This Mac app also allows you to drag and drop files. You may add as many MOD videos as you want for batch conversion. This step is optional step. But when you come to review the MOD video your taken and find it's too dark or the focus is blurred, you may wanna fix these flaws and apply artistic effects with the Edit Video module of the program. Plus, with just a few clicks, you can crop the MOD video to remove black sides, trim the video and add text or image watermark easily as below. 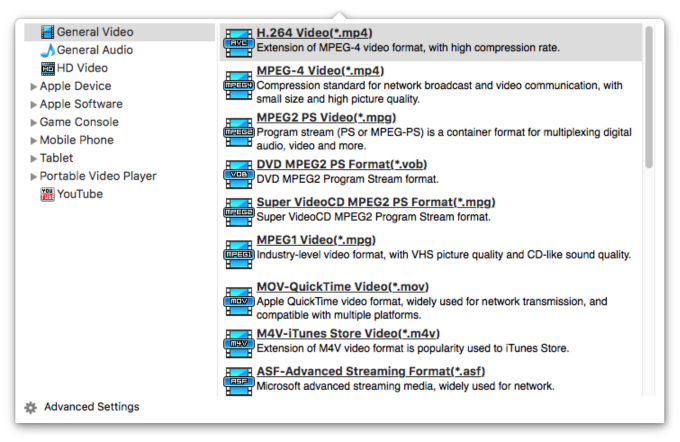 Select MP4 or MOV as output format for each video file. Here we set the output video format to MP4 format with 1280*720 resolution which provides a best compromise between file size and video quality. This video converter by iFunia also supports many other input and output formats. Take MTS to MP4 for example, if you need to convert MTS to MP4, you can select MP4 as the output video format. Remember that the output file size mostly depends on the Bitrate you set. Larger Bitrate, larger file size. Actually video with bitrate as 768 is acceptable for watching. Now you may click the conversion button to begin converting MOD to iMovie MP4 video.The convert progress bar shows you how much of the encoding is completed. The encoding time will depend on several variables including: the duration of the video file, the speed of your computer, what other activity your computer is currently doing and the bitrate you set.